Well, damn! You know, this state has been one of the major loves of my life. my very fiber. I am beyond grateful. 33 years. I began a new career there, got married, became a father… life got hectic. at Christmas, until money got so tight I couldn’t afford to come out here any more. it a career and actually came home! Montana friends helped me get my feet back on the ground and moving forward. friends went camping and fishing with me. My life became full and exciting again. rough edges, has been my safe haven. post card material. They are almost too beautiful, too soft, too perfect. challenges throughout the year force one to deal with them and survive. high country. Turned out to be the most exciting thing I’ve done in a long time. in my return to Montana! to where my heart has always been. What a nice tribute to a great place. Having said that, I’m glad you are here and enjoying your new home. You and “B” are a great addition to the neighborhood. Thanks, Ken. As you know, we’re delighted to be here, and to have you as our neighbor. 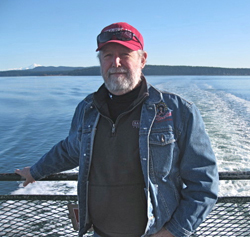 I always enjoy your blog, Coupeville Impressions, as well. Keep up the great photography! Well said, Steve. You are living the good life, from Montana to Whidbey Island. The best of 2 very different worlds. So glad you’ve started a new Island post. Hugs to you and Betty! Thanks, Karen. Glad you finally got your power back on! 4 days without power…at least it wasn’t in the middle of a Montana winter! Could have been a lot worse. and Montana is better for having you as a native son…….always in the heart, mind and soul of all who have been there and carry it with them wherever they roam……hopefully, our paths may cross again on such trails……! Right your are, Brit, my friend. May our paths cross again, and soon!